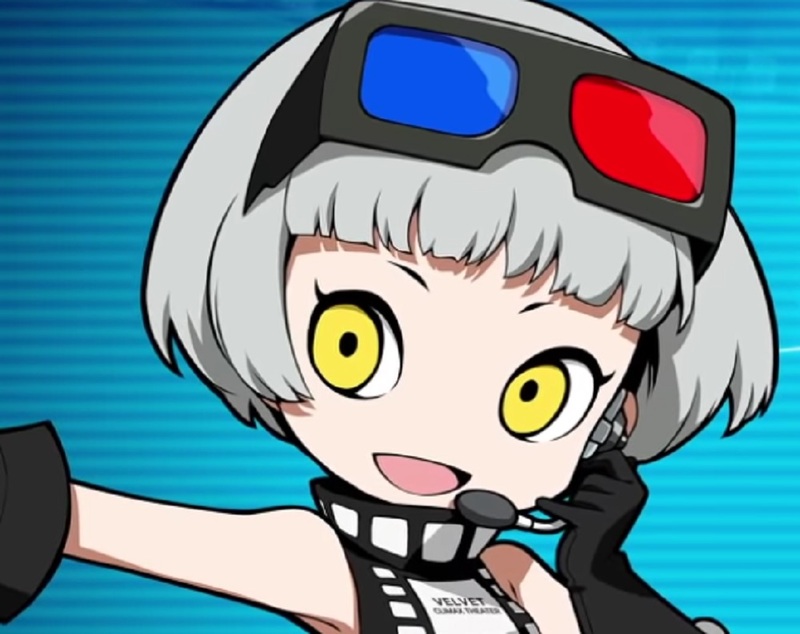 There's probably no better way to start off a new week than with another character trailer for upcoming sequel Persona Q2: New Cinema Labyrinth. At least Atlus think so, at any rate. Today's preview for the chibi-lovin' Nintendo 3DS release, follows up Theodore with another Velvet Room assistant; the lovely, jaunty-hat wearing Elizabeth. Well, I say "jaunty-hat wearing", but it appears this time around the darling attendant has swapped her headgear out for a pair of classic 3D specs, as well as a wonderful dress stylised like a reel of film. Obviously, this is all in keeping with Persona Q2's cinema aesthetic, which sees Theodore dressed as a tub of popcorn. Both attendants/ushers will run the in-game store and deal with team management, helping out the SEES and The Phantom Thieves on their adventures. Persona Q2: New Cinema Labyrinth launches in Japan on Nintendo 3DS November 29.